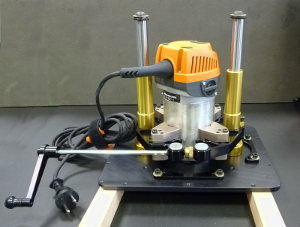 Note: This router lift is made for the American Market! It is hard to find a router in Europe that fits these router lifts because European type routers are plunge routers where you cannot separate the motor from the base. The only one we know that fits is the AEG MF 1400 KE. 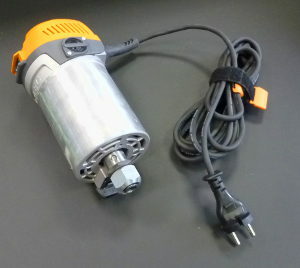 The motor has the same diameter as the American Rigid R29302. Like the previous version, the Mast-R-Lift II allows fast, incredibly precise height adjustments conveniently made from above the table, and it also provides you with the ability to change router bits from above. This new model uses an exclusive system with a total of 5 sealed ball bearings on the lift screw and cam lock, making it the smoothest, lowest-friction router lift ever used! 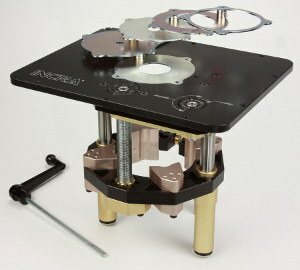 The quarter-turn cam lock is operated from the top using the lift crank to eliminate height drift. 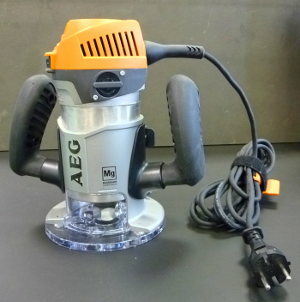 AEG router MF 1400 KE with base. Router after base has been removed. 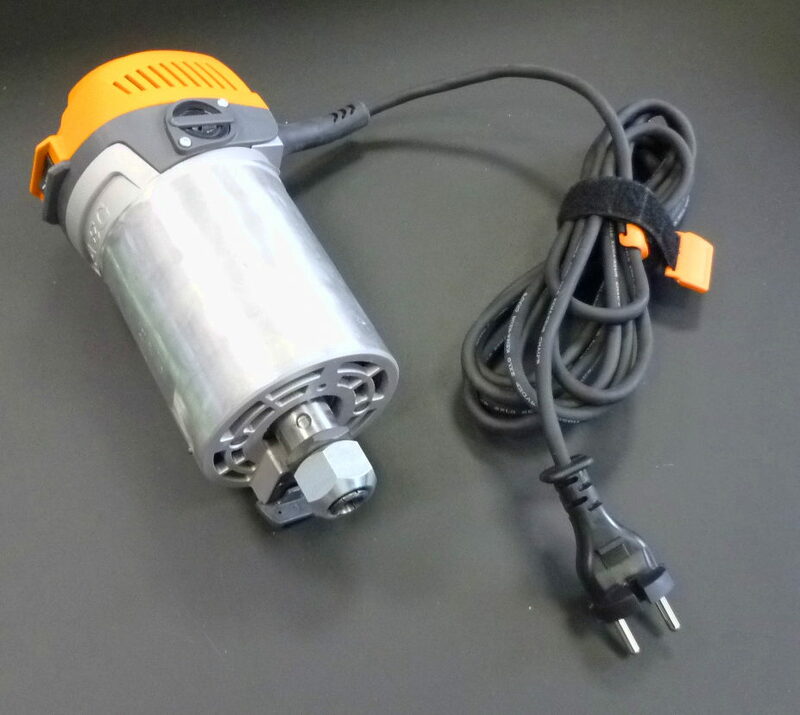 Diameter of motor is 92 mm. 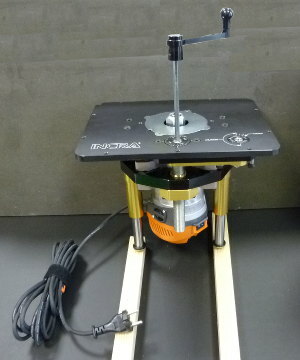 It is simple to insert the motor into the JessEm Mast-R-Lift II. Use the holes in carriage and clamping block aligned with the Rigid R29302 as shown in the manual that comes with the router lift. Lift and router assembled. Height adjustment is made with the crank handle. With the same handle you can lock the lift easily for long term routing operations.